Grace Catherine Jones (née Rich, born 16 September 1906) from Broadway, Worcestershire is an English supercentenarian. At the age of 112, Grace is the oldest living person in the United Kingdom following the death of 113-year-old Olive Boar on 28 August 2018. She was born in Liverpool, and was the youngest of eight children born to Henry Banks Rich (1861-1932) and Sarah Alice Eilbeck (1867-1910). During her 20s, she owned a millinery factory in Liverpool. She married Leonard Roderick Jones (1907-1986), a chief engineer, in 1933, and has a daughter, Deirdre. Grace has lived in many places during her lifetime, including Cheshire, Derbyshire, North Wales, and Sidmouth in Devon, where she lived until 2006. She then moved to the Cotswolds to be closer to her daughter. 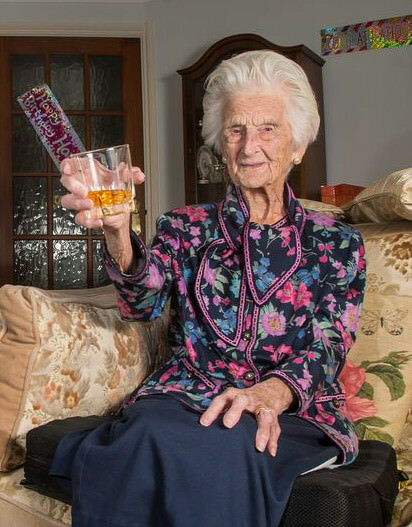 She attributes her longevity to a daily drink of whisky before bed, which she has had every day for over 60 years. 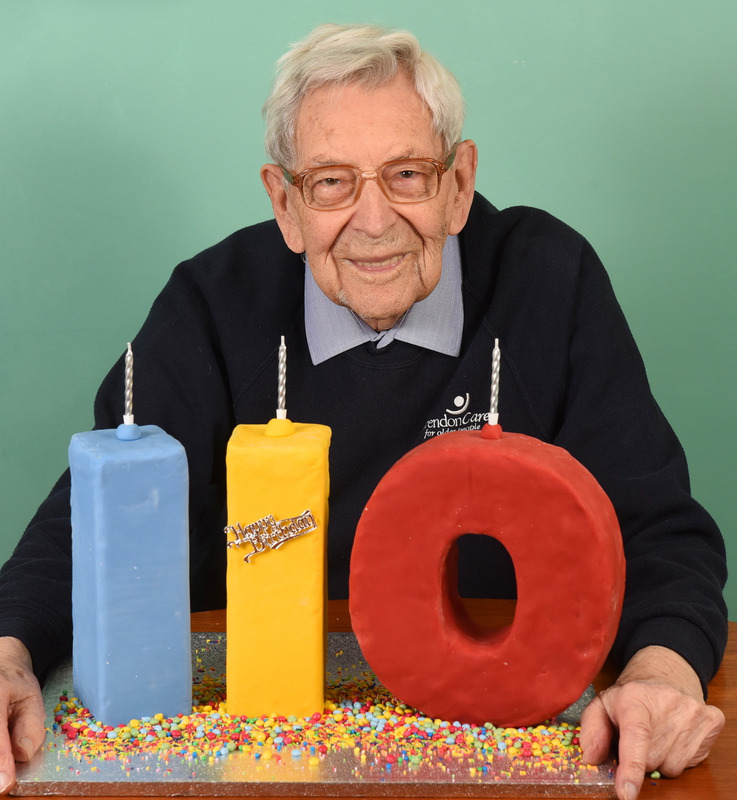 Alfred "Alf" Smith (born 6.30AM 29 March 1908) from St Madoes, Perth and Kinross is a Scottish supercentenarian. At the age of 110, Alf is the joint-oldest living person in the United Kingdom along with Bob Weighton from England, who was also born on 29 March 1908. Alf was born in Invergowrie, and was the fifth of six children born to John Smith and Janet Todd Dow (1872-1936). In 1927 he moved to Canada, but returned five years later. For most of his life, he worked as a farmer in Kinfauns in the Carse of Gowrie. Alf married Isabella Duncan Harper (1906-2003) in 1937 and had two children, Irene and Allan. After a fall in August 2016, Alf now lives with his daughter Irene in St Madoes, Perth and Kinross. Robert Grant Pitts "Bob" Weighton (born 29 March 1908) from Alton, Hampshire is an English supercentenarian. At the age of 110, Bob is the joint-oldest living person in the United Kingdom along with Alf Smith from Scotland, who was also born on 29 March 1908. His time of birth is not known as it was not customary to include this detail on English birth certificates. Bob was born in Hull, and was the fourth of seven children born to Arthur Weighton (1871-1955) and Eliza Pitts (1870-1936). After leaving school at 16, he began an engineering apprenticeship. However due to to the Great Depression, there were no jobs. He moved to Japan to learn the language, before moving to Taiwan in 1933 to start a job as an English teacher. There he met his future wife Agnes Kinver (1908-1995), and they later married in Hong Kong in 1937. They had three children, David, Peter, and Dorothy. While returning to the UK in 1939, his ship was diverted to Canada due to the Second World War and the family became refugees in Vancouver. They later moved to Denver, USA. He initially worked as an engineering supervisor, but was later recruited to decipher Japanese messages during the war due to his knowledge of the language. The family returned to the UK in 1946 and Bob worked as an engineering lecturer at City University, London for 25 years. He later retired and moved to Alton, Hampshire, where he still lives. The oldest woman living in England and the UK is Grace Jones, born 16 September 1906. The oldest man living in England is Bob Weighton, born 29 March 1908. The oldest woman living in Scotland is thought to be Anne Lean, born 3 November 1909. The oldest living woman born in Scotland is Agnes Kluckhenn from Australia, born 1 April 1909. The oldest man living in Scotland is Alf Smith, born 29 March 1908. The oldest woman living in Wales is thought to be Lilian Conroy, born 2 June 1910, who moved from England in March 2019. The oldest woman both born in and living in Wales is thought to be Amy Hawkins, born 24 January 1911. The oldest living woman born in Wales is thought to be Sarah Priest from England, born 7 November 1908. 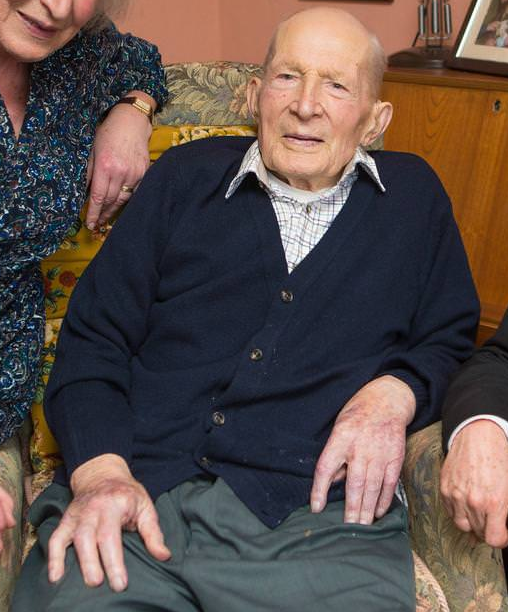 The oldest man living in Wales is thought to be Searson Thompson, born 16 December 1911. The oldest woman living in Northern Ireland is Maud Nicholl, born 3 July 1909. The oldest living woman born in Northern Ireland is Mary Donaldson from the USA, born 20 August 1908. The oldest man living in Northern Ireland is currently unknown. The oldest woman living in the Isle of Man is currently unknown. The oldest man living in the Isle of Man is currently unknown. The oldest person living in Guernsey is currently unknown. The oldest person living in Jersey is currently unknown. The oldest living twins in the UK are thought to be Phyllis Jones and Irene Crump (born 20 November 1916). We kindly ask that people get in touch if they know of anyone older.